Today was a very relaxed day. We walked around Old Town and shopped and eat lunch. 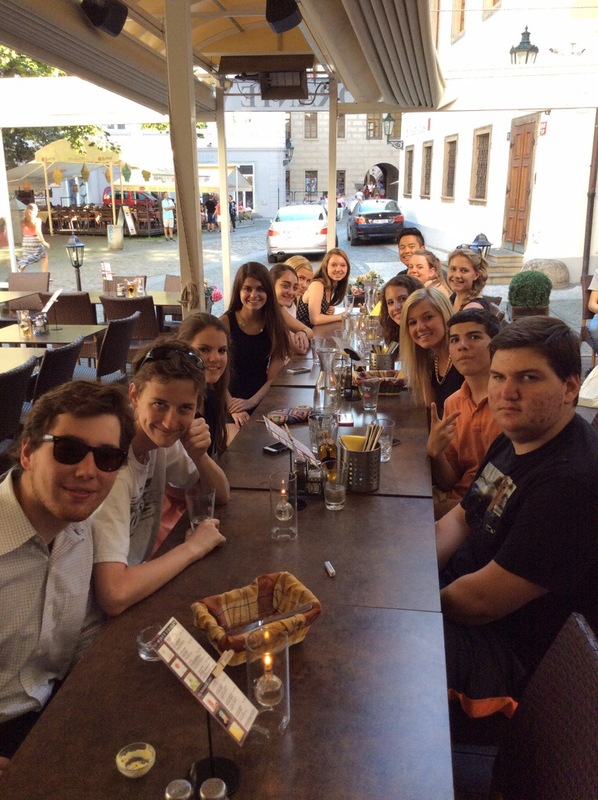 Then we all had a group dinner at an Italian restaurant in Old Town. I love Old Town because there are so many people in the town square doing “acts” like singing, dancing, ect. One guy (a very creepy guy) was doing a sword show and he was throwing up swords and playing with fire. He though he would be super funny to drag in into the show. He made me hold a torch and stand in a circle he had made with gasoline. I thought I was going to die. He “drank” the gasoline and he was about to blow all the fire into my face. Luckily it was just a joke. Regardless I was terrified. That will be the last time I will stand in the front of any show like that. I have absolutely loved Prague! We have all had so much fun! I am so thankful I’ve gotten to have this experience with my closest friends. I hope we all come back together one day!